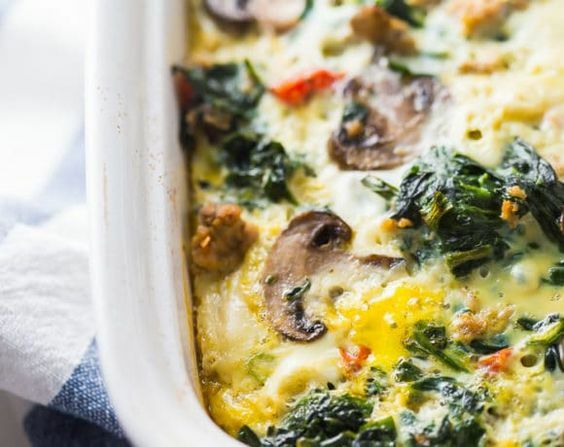 This Whole30 breakfast bake with sausage, eggs, spinach, and mushrooms is flavorful enough to live off of during a Whole30. You'll love this Whole30 breakfast because it's packed with flavor, protein, and fiber, making you feel a-freaking-mazing all day. This might just become your new favorite paleo breakfast bake!